All your Tippmann 98 mag fed options! We have the best prices and sales on all things mag fed and Tippmann. If you are wanting to change your Tippmann 98 Custom, US Army Project Salvo, or US Army Alpha Black into a magazine fed marker, then the magazine conversion kit is the upgrade you are needing! 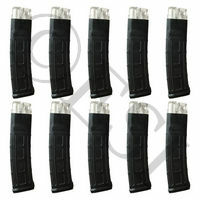 We also carry the popular Tacamo Magazine Fed Conversion Kit, that fits on 98's, US Army guns, and Empire BT-4's. These upgrades can turn your marker into one of the best mag fed paintball guns around your local field! 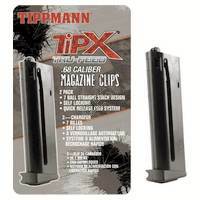 Based on our staff reviews we recommend upgrading to an extended magazine, Tippmann sells their Tru-Feed magazines in the extended 12 round sizes, these are an upgrade from the original Tru-Feed seven ball magazines, which we also have in two packs! Also available is the ZetaMag by Stark Pursuit which is a reversible magazine that has a maximum capacity of twenty paintballs. Enjoy our mag fed conversion kit installation videos on their product pages. As always we offer free and fast domestic shipping on all orders over $89. 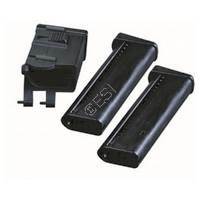 Get fully loaded with this 10 pack of DMAG Helixs' Two pack of Tippmann's 7 ball tru-feed magazines. Easily transform your Tippmann 98 into a Magfed paintball marker. 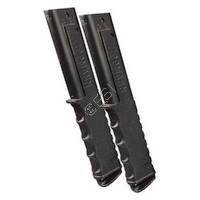 Two pack of Tippmann's new 12 round extended magazines. For the TiPX and TCR. What's up everybody, and welcome to Tippmannparts.com. My name is Stitch. On this video, I'm going to be talking about the Tippmann 98 Custom. This is actually my personal marker, which I modified slightly. I just want to let everybody know the difference of what this marker can provide for a beginner player or a veteran player, either/or. Alright. So, I'm going to go through the modifications that I did so far, which is not that much. I basically have a extendable shoulder stock installed on the back of the marker, which all you have to do is press this piece down and you can adjust it anywhere you want, alright, for a more comfortable feel. I put -- this is actually a loom to cover wires. So, I attached that to disguise the shininess of this thing basically, the braided line. And I put my name on my loader. So, those are my custom things that I've done to my marker. Alright? This is my favorite. No, I'm just kidding. Alright. So, moving on, I'm going to explain why I think that this is a good marker to get for a beginner or, like I said, even a veteran player. MagFed is an up and coming style of play in the paintball industry and I actually support it a lot. So, there's a lot of companies out there trying to get involved, Tippmann Parts being one of them as well. A lot of other companies out there are getting involved as well. So, available at Tippmann Parts, obviously, will be the MagFed Conversion Kit from Stark Pursuit and designed by Stark Pursuit, which will come with the MagFed conversion adapter, which is this piece right here, alright, two 7 round true feed -- true fed -- true feed -- tomato, tomato -- however you say it -- magazines. Alright. So, that's what you got there. Tippmann also just released this product, which is a 12 round magazine. I did a couple of reviews on it, so it's actually a really good magazine. Alright. So, real quick, you can go from gravity fed to MagFed within like seconds on the field basically. This button right here, all you have to do is push it down, slide this across, and then pull it back and out. Okay? Now, you grab your MagFed adapter, push it forward, slide it up, lock it into place, get your paintball rounds inside the magazine, install the magazine, and you're ready to go. Don't forget to charge up your marker. Alright. Obviously, you would have safety on and everything. Alright. And it's that quick. So, if you want to time it, I don't know, one, two, three, four, five, six, seven, eight, nine, ten -- oops, I messed up because I'm joking around. Alright. So, anyway, that's how quick it is. It's not that difficult to switch between MagFed and hopper fed. Now, I'm going to talk about something that's really cool about this because I know a lot of players are probably like, "Oh, you know, yeah, okay. This is gravity fed." Experienced players, it's a gravity-fed hopper, yes. So, it would tend to drop rounds in when it feels like it basically. So, you would worry about chopping in the marker. So, basically, chopping is when the paintball round comes in, and the marker goes to fire, and cuts the paintball round in half. Alright? So, Tippmann has I guess you could say revolutionized the 98 Custom if that's the proper word. Alright. It has ACT, which is known as the Anti-Chop System. So, if the paintball round is halfway in the way, it won't fire. So, it's a good upgrade that is out with the Tippmann right now. So, take advantage of it. You can also get a speed loader, an electronic loader. If you look on Tippmannparts.com, there's a variety of loaders and everything. Or, you can actually contact them and they'll recommend anything for you. Alright. My name is Stitch. Thank you for watching. Later.